There are certain sports venues whose name carries with it immediate recognition. Augusta National. Wimbledon. Madison Square Garden. Wrigley Field. Indianapolis Motor Speedway is on that list. Winning at Indianapolis is one of the most prestigious accomplishments in auto racing. Roger Penske has climbed that mountain to the tune of 17 Borg Warner trophies for Indianapolis 500 victories. But “The Captain” has never experienced the thrill of victory in the Brickyard 400. Brad Keselowski changed that on Monday. 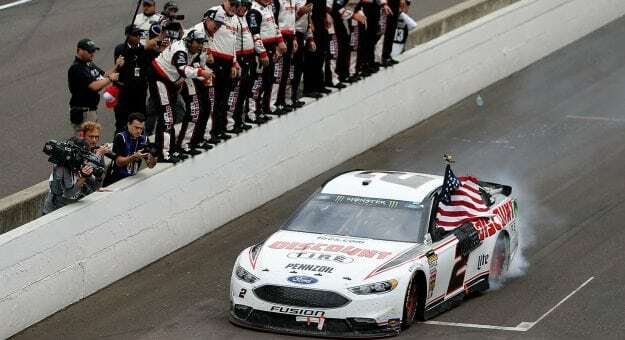 Keselowski outbattled Denny Hamlin in a thrilling three lap duel to take a second straight crown jewel victory coming days after a triumphant weekend at Darlington Raceway winning the Southern 500. It capped a day that despite being postponed a day by rain turned out to be one of the more compelling and entertaining Brickyard 400’s certainly in recent memory. Strategy was as usual front and center but there was much more going on over the course of the day’s 400 miles. A sketchy racing surface proved challenging for many and restarts proved to be the best option to gain track position. 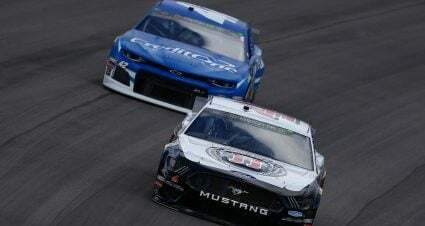 In the end it came down to a late caution and dash to the checkers that ended with Keselowski and Hamlin racing more like they were at Martinsville than Indy. 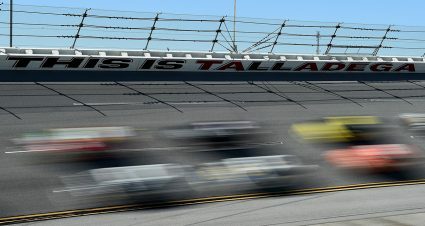 Keselowski prevailed, Hamlin was disappointed and Team Penske rejoiced. And Indianapolis Motor Speedway added another solid chapter to its legacy. On paper moving Indianapolis to the last race of the regular season seemed like a sound idea. Perhaps drama of who would make it into the playoffs would add some much-needed attention and a different spotlight on the race that has been lagging in both departments over recent years. There was also the potential of a battle at the top of the standings for the regular season championship and the additional 15 playoff points that go along with the achievement. Finally sliding back two months away from the usually blistering hot Midwest summer weather to a more moderate time of the year would provide fans with a much better experience. Unfortunately none of that happened this year with Mother Nature being the biggest detriment to the plan. Hopefully the 2019 edition of the Brickyard will have a better chance at benefitting from the slot on the schedule. 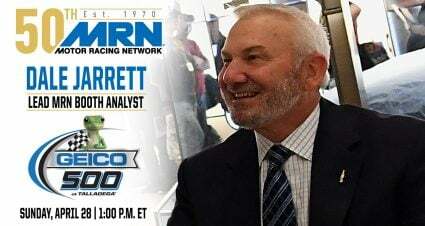 The Lilly Diabetes 250 Xfinity Series race once again used the aerodynamic rules that were in place for last year’s event, which was hailed as the best held at Indianapolis Motor Speedway since the division moved there a few years ago. The result this time around was an at time wild race with side-by-side racing most notably a four-wide scramble to the finish line in the first stage. While there was certainly a great deal of action there was also single file racing once cars broke away from one another and race winner Justin Allgaier led the final 17 laps on his way to the checkered flag. Using the package at Indy, including in the Cup Series, makes sense because it obviously works given the track’s length and layout. But I’m still not convinced a similar set of rules will have anywhere near the same impact anywhere else. 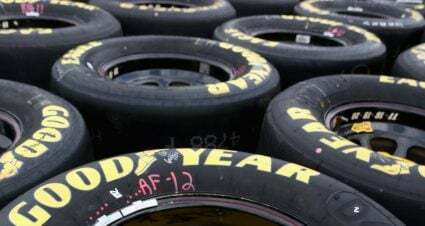 Even though because of the weather there wasn’t a single lap turned all weekend long before racing began, inspection issues once again surfaced. 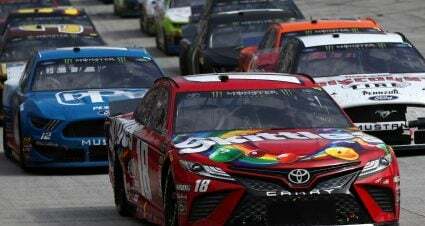 Martin Truex Jr. and Daniel Suarez had to drop to the rear of the field when both their cars failed post-race inspection – three times for the No. 78 and four for the No. 19. A 10 point penalty will be assessed, which is really not a big deal in the scheme of things, while both teams lost their car chiefs for the race. Showing up with a legal car remains the biggest obstacle for a number of organizations. Speaking of Suarez, he is in the news as the driver to be displaced at Joe Gibbs Racing by Truex Jr. with the impending shut down of Furniture Row Racing. 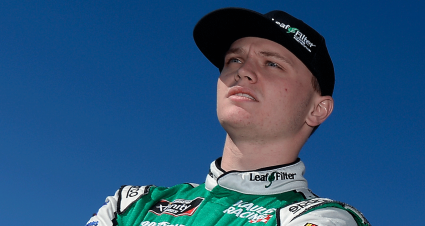 Sources have Suarez moving to Leavine Family Racing, which will migrate to a Toyota team and an alliance with JGR, although nothing has been formally announced. 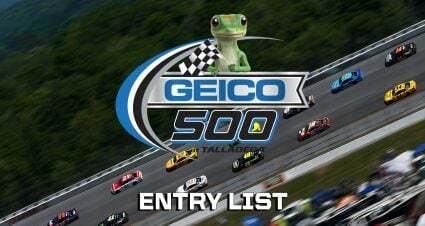 There’s another name on the market for next season as well with Matt DiBenedetto’s announcement he will part ways with Go Fas Racing at season’s end. While the organization plans to return with another driver, DiBenedetto is hoping his “leap of faith” lands him with a more competitive ride. 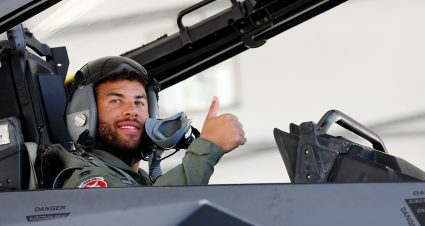 He’s certainly a candidate to be improved if he can find better equipment, however those opportunities seem to be in short supply. And the Associated Press reported Chip Ganassi will not bring Jamie McMurray back to the No. 1 ride in a full-time capacity offering the veteran only a Daytona 500 entry. Kurt Busch appears headed to fill McMurray’s seat in 2019.